We offer a full service meat and seafood counter, where you will find a wide range of natural meats, including grass fed beef, organic chicken, and wild caught fish. All of our products, from the steaks and sausages to our bone broth are made, cut, and created in-house. We carry exclusively all natural and humanely raised meat. Our butchers are highly trained and happy to answer any questions you may have. Together, we strive to bring you and your family the healthiest and freshest meats available. Our beef is sourced from some of the best in the business. 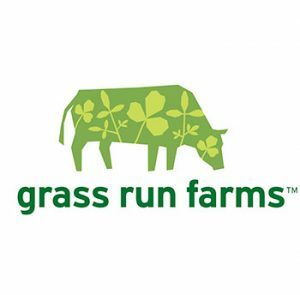 We carry Aspen Ridge certified natural beef, and Grass Run Farm’s 100% grass fed beef. This beef is some of the best out there, and we stand behind it proudly. Click the logos below and learn more about our providers! We proudly offer 100% grass fed, dry aged beef. The aging process allows moisture to escape from the meat, creating a more tender and flavorful cut. All of our dry aged beef is aged anywhere from 30 to 60 days. Our butchers will be happy to guide you on how to properly prepare this wonderful selection of meat. Learn more about dry aging here. Smart Chicken is USDA certified organic, meaning every chicken is raised without growth hormones, antibiotics, or any chemical. See their story here. Delivered daily, Pacific Coast Greens offers some of the freshest fish in Malibu. Our selection ranges from wild caught salmon and sushi grade ahi tuna to lobster tails and scallops. We source all of our seafood from reputable purveyors.